Our Programs, Products, and Services are owned and operated by Amy Lippmann, Founder & Marketing Strategist of Amy Lippmann, LLC d/b/a Marketing for Health Coaches (“Company”, “we”, or “us”). The term “you” refers to any purchaser and/or user of any of our Programs, Products and/or Services. However, you are not permitted to share, sell, reprint or republish any other of our Program Materials, including handouts, for resale or mass reproduction purposes for your own business use unless expressly stated by us. You are not permitted to reprint or republish any other of our Program Materials, including handouts, for resale or mass reproduction purposes for your own business use. Otherwise, you are permitted to download and/or print free resources from our Website or e-mail correspondence, e-newsletters, or other publicly shared information that are NOT a part of any paid Program or Service for your own personal or business use, but only provided that you give us credit by name, keep intact all copyright and other proprietary notices and, if used electronically, you must include the link back to the Website page(s) from which the information was obtained. However, you may not use our Programs, Products or Services, the materials available on or through them, or this Website in a manner that constitutes an infringement of our rights or in a manner that has not been authorized by us through our prior written consent. Information You Are Prohibited from Sharing with Others. As a Licensee, you understand and acknowledge that the information and Program Materials obtained in or through our Program, Product or Services has been created, developed or obtained by us through the investment of significant time, effort and expense, and that this information is a valuable, special and unique asset of ours which needs to be protected from improper and/or unauthorized use. You may not duplicate, share, trade, sell, or otherwise distribute any Program Materials (except the “Take and Tweak” documents for use only with your own clients), or any other information obtained in or through our Programs, Products or Services to any other person, for their personal, commercial or business use, in whole or in part, whether it was known to you or not at the time that you shared the information that their intention was to use the Program Materials for their own personal or professional use. This means you cannot sell the “Take and Tweak” documents, or any other Program Materials to someone else so they can copy and/or use them for their own business use. You are the only one granted a limited license to use the “Take and Tweak” documents. You may not violate our intellectual property rights, including copyright and trademark rights. By downloading, printing, or otherwise using the material from this Program for your own training purposes in no way gives you any copyright, trademark or ownership rights of the material contained in the Program Materials. Any request for written permission to use our Programs, Products, Services or Program Materials, in whole or in part, or any other intellectual property or property belonging to us (“Content”), should be made BEFORE you wish to use it by completing the “Contact Us” form on this Website, or by sending an e-mail to support@marketingforhealthcoaches.com. If you have a question or concern about your Programs, Products, Services, or Program Materials, you may send an e-mail to support@marketingforhealthcoaches.com and we will do our best to reply to your question or concern promptly. In the event that payment is not received by the date due, the Program, Product or Services will not continue and we reserve the right to cease your access immediately and permanently. Your satisfaction with your Program, Product or Service is important to us. 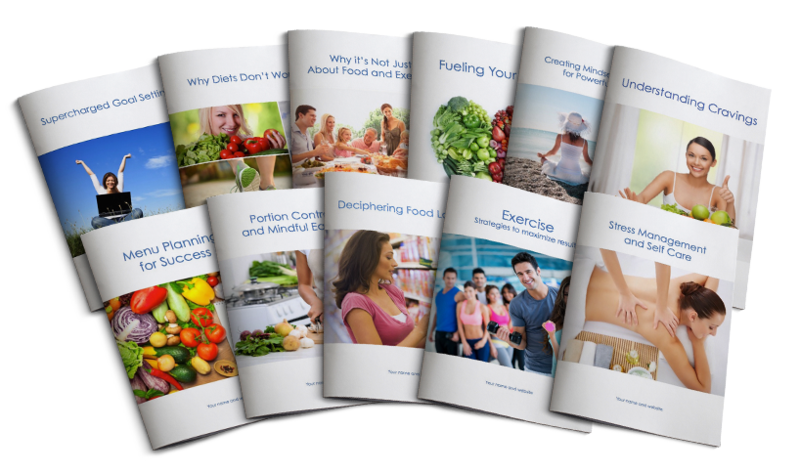 When you purchase our Ready-to-Launch Cleanse Program or Done-for-You Speaking Kit, you have 72 hours to review all the pieces that are instantly available to you on our member page. 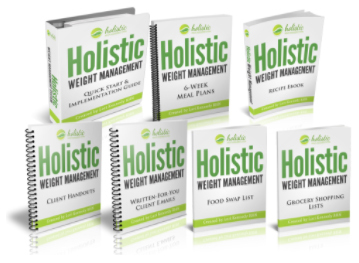 If within 72 hours of making your purchase you find it’s not a good fit, email us at support@marketingforhealthcoaches.com explaining why you weren’t completely satisfied by the program and we will refund your purchase in full. After the 72-hour period, unless otherwise provided by law, you acknowledge that we do not offer refunds for any portion of your payment and no refunds will be provided to you at any time. By using and/or purchasing Ready-to-Launch Cleanse Program or Done-for-You Speaking Kit, you understand and agree that after the 72-hour purchase period, all sales are final and no refunds will be provided. You have the right to terminate your use of or participation in our Programs, Products or Services at any time by sending an e-mail to support@marketingforhealthcoaches.com. It is hoped that should we ever have any differences, we could be able to work them out amiably through e-mail correspondence. However, should we be unable to seek resolution within a reasonable time, you agree now that that the only method of legal dispute resolution that will be used is binding arbitration before a single arbitrator, selected jointly, in accordance with the American Arbitration Association Rules. Prior to seeking arbitration, you must send an e-mail to me at amy@marketingforhealthcoaches.com and include all of your reasons for dissatisfaction with your Program. You understand and agree now that the only remedy that can be awarded to you through arbitration is full refund of your Payment made to date. No other actions or financial awards of consequential damages, or any other type of damages, may be granted to you. We both agree now that the decision of the arbitrator is final and binding, and may be entered as a judgment into any court having the appropriate jurisdiction. You also agree that should arbitration take place, it will be held in Orange County in the State of North Carolina, where my business is located, and the prevailing party shall be entitled to all reasonable attorneys’ fees and all costs necessary to enforce the decision of the arbitrator.